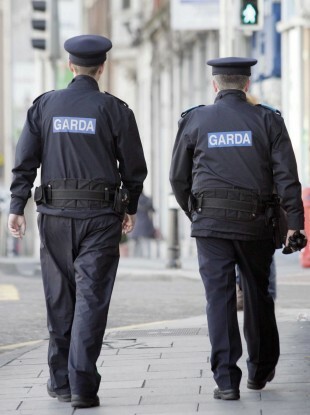 THE GARDA REPRESENTATIVE Association has asked a number of units of the force to attend work tomorrow as the rest of its rank-and-file members go on strike. The association described the service to be provided as “skeletal”. As well as the units above, there will be a couple of hundred senior officers on duty. It is understood reserve members are unlikely to provide cover for their colleagues, with one reserve member telling TheJournal.ie they would not “turn around and stab them in the back”. “The ongoing security of the State, protection of life and the gathering of evidence by these units is paramount and must not be compromised, despite the sense of anger, betrayal and disillusionment that resulted in 95% of the GRA membership democratically expressing their preference for industrial action,” the GRA added in its statement. Speaking to reporters at the GRA’s headquarters in Dublin today, Ennis said the “vast majority” of his members would not be showing up for work tomorrow. He stressed that the association had “engaged exhaustively” and was critical of government officials for waiting so long to kick off serious negotiations. The announcement is the first strand of a contingency plan to be made public since the industrial action was announced. The strike is set to go ahead tomorrow despite talks in the Labour Court over the past 48 hours. The court is currently assessing the submissions made by the GRA last night, but says it needs more time before it can make a recommendation. Negotiators for the AGSI have left the Labour Court and are now holding a meeting with their national executive to discuss issues raised in this morning’s meeting. In a statement, the association said this includes discussing a possible ballot of members. They are due to return to the Labour Court at 5pm. Speaking about the lack of movement during discussions, GRA general secretary Pat Ennis said earlier, “The government failed to make effective contingency plans despite five weeks’ warning of withdrawal of services by gardaí. The recent negotiation process was unnecessarily protracted. The GRA has engaged throughout in a responsible problem-solving manner. This government has perilously gambled with public safety in its treatment of our members. Following a meeting of its central executive committee last night, the GRA confirmed it would go ahead with its four planned strike days unless it sees “substantial and significant progress towards real and tangible increases in pay”. Meanwhile, the Justice Minister has called on the GRA and AGSI to call off Friday’s industrial action. “The associations should not go ahead with their planned action tomorrow,” Frances Fitzgerald said in the Dáil during Leaders’ Questions. “I would still appeal to both organisations to pull back from the brink,” she said in response to questions from Fianna Fáil’s justice spokesperson Jim O’Callaghan. Asking for more details on contingency plans for tomorrow if an ‘unprecedented, highly unusual’ strike goes ahead, O’Callaghan accused the government of dealing with the industrial relations crisis ‘incompetently’. Fitzgerald told the Dáil that she has spoken with Nóirín O’Sullivan about the “nature of the contingency plan being developed”, adding that it cannot be made public for security reasons. Meanwhile, the Courts Service has deferred three sittings of regional courts as a result of tomorrow’s industrial action. Galway Circuit Court, Waterford Juvenile District Court and Kilkenny Circuit Appeals will all be closed. All other court matters are expected to go ahead. In a statement, a spokesperson said that the Courts Service has been liaising with the judiciary and gardaí about Friday’s sittings. “We have discussed logistical and security issues and have made various, location specific arrangements for same,” he said. Unless people see notices to the contrary - they should assume their court date stands for tomorrow. Email “'Skeletal service': These garda units will work tomorrow as most rank-and-file members go on strike”. Feedback on “'Skeletal service': These garda units will work tomorrow as most rank-and-file members go on strike”.